Mix all ingredients together in a bowl. Cover and refrigerate overnight. 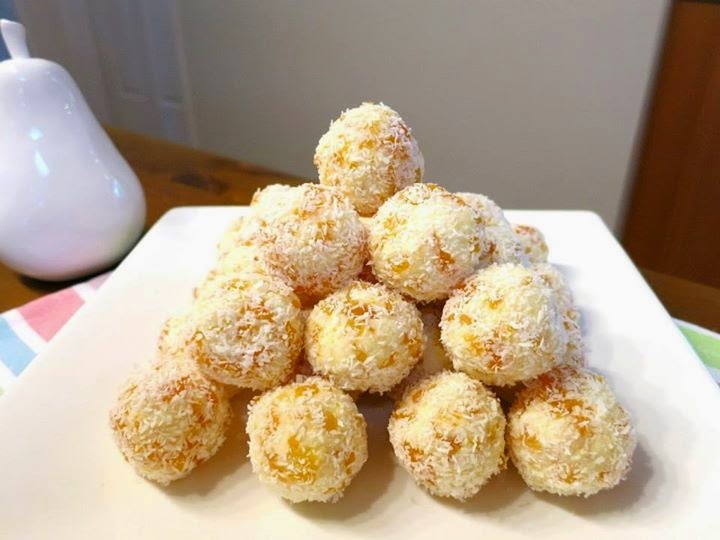 Form mixture into small balls about the size of a walnut and roll into coconut.